Obesity can cause serious health issues like diabetes, high blood pressure, heart disease and cancer. Weight loss centers / clinics can help you to lose fat by giving you a customized nutritional and fitness plan. In this article, we are going to look at various weight loss clinics in India. Belle Vue Clinic uses only evidence-based and scientifically proven methods for fat loss including nutritional guideline, an exercise regime and operative strategy. They are customized as per the specific requirements and limitations. 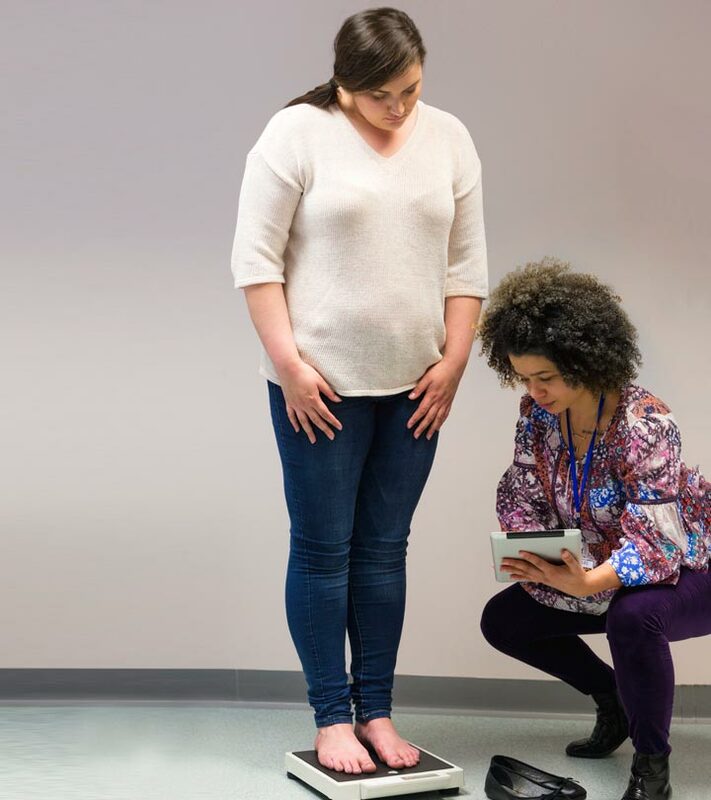 They have a BMI programme that includes certified fitness coach, qualified nutritionist, obesity care specialists, bariatric surgeons, psychologist and supportive staff. BMI is an exclusive weight management concept that has many unique features to tackle all forms of obesity. Belle Vue Clinic is centrally located at Kolkata and works every day. They have an updated, scientific and interactive website for patients. They also send regular e-mail, phone and sms to patients for support. This is a very reasonable weight loss clinic that is even suitable for the middle class patients. Slimage Clinics have successfully reduced around 9467kg’s of weight loss. They have customized weight loss plan as per the individual needs to meet your goals. Slimage Clinics have verified and professional weight loss team of professionals who follow-up and advice service. They help their clients to lose weight with therapeutic diets advised by specialist doctors. This clinic has one of the best weight loss programs with a diet plan that will help you look fit and healthy. They have specific program customized for you to maintain ideal weight.The dieticians at Sheela Seharawat clinic will recommend a particular diet regime to suit your taste, habits and life style. Obesity management at Amaaya™ Antiaging & Wellness Clinic improves many underlying health issues. They have an integrated approach with all the components of Modern Medicine. They just don’t advice medicines but educate the patients about their health related issues. Each patient is treated individually with customized approach and high quality care. Amaaya™ Antiaging & Wellness Clinic offer Non-Surgical Obesity / Weight Loss management. VLCC is the renowned name that deals with weight issues. They also change a complete lifestyle to stay healthy. They also consult family physicians to analyze your medical background to achieve desired weight loss. Dr Kolawales is the speciality weight loss clinic that is well- known to provide fast weight loss packages since ten years. Dr Prashant Kolawale, M.D (AM), weight loss expert is the founder of this clinic and also a member of International Obesity forum. They have treated More than 10,000 people with weight issue. Their packages include high quality Ayurveda medicines for best results. Dr Kolawales has the highest success rate in weight loss category in India. Dr. Rekha skin and slim centre have developed a weight loss program that helps to eliminate the excess fat in the body. This also improves your overall health and fitness level. Hope you would find this list handy. Leave us your comments below.